Don’t worry. KDE is not dead yet! Above rules indicate that, KDE is unsupported by Red Hat. It makes me nervous as other Linux distro follows Red Hat policies. The virtue of open source resides in the fact that its code is free and can always be edited, modified, and customized to your needs. Don’t like change? 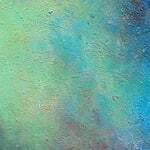 Get a Linux distro that supports KDE out of the box. 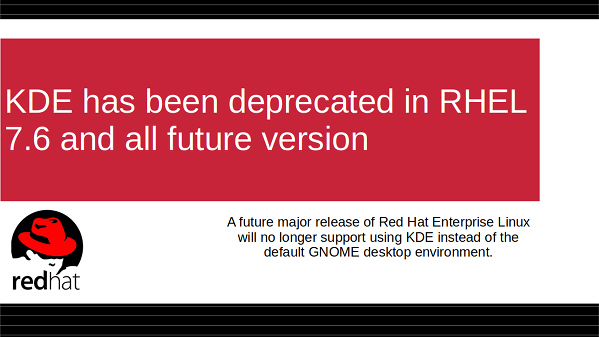 KDE project will continue to develop software without any support from Red Hat. RHEL/CentOS 7.6+ users can either use EPEL repo or switch other Linux distros such as Ubuntu, Debian, SUSE/OpenSUSE and others. The power of the defaults plays a significant role in the Linux ecosystem. Again take the example of systemd. 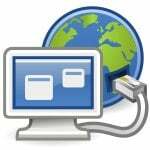 Most users tend to stick to the defaults and defaults are incredibly powerful tools for setting up future of the Linux desktop. I don’t like this kind of manipulation. It is not healthy for anyone in the long run. What do you think? Add your thoughts in the comments section. It’s sad but understandable from an engineering perspective. You wouldn’t expect Elementary OS to support GNOME or KDE even though you can install them instead of the default Elementary desktop. Red Hat is larger and can afford more resources but the amount of packages offered in RHEL is huge! In pretty sure up until now they didn’t actually support all of the things in there - they might make a best effort but I doubt even RedHat can have a dedicated support person expert on every single one of the software they provide out of the box. As RedHat are getting serious about their commercial SLAs (they have to, now that they are an IBM company), I’m sure we’ll see a lot more (though less high profile) software being moved from the official RedHat repositories to EPEL and friends - though I’m sure it’ll make a lot of current RHEL users unhappy to discover that non-mainstream software that they rely on in their day to day production operations have just been moved out of the SLA and out of the main repos. I myself have been burned too many times by RHEL non future compatible nature - just look at the hell that is upgrading a RHEL 6 that is almost EOLed to a modern RHEL 7, and you’ll know not to put your eggs in that basket ever again. I’m going full Ubuntu. When I think of Red Hat, I don’t think of Desktop nor Workstation. Ubuntu comes to mind for a better Desktop/Workstation experience. Red Hat never did too much for the Desktop community in general outside of funding the GNOME project. Red Hat is a great Server distribution, and that’s their focus and bread and butter. From a business perspective, it makes sense to focus only one Desktop Environment and that should probably have been KDE right from the beginning. The Windows world would be more familiar with it, the KDE community is huge, responsive and talented. 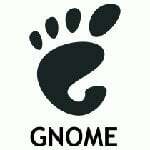 KDE has produced a high-level experience with very little funding compared to GNOME. I’d like to see other Enterprise distros (OpenSuse and Ubuntu) step up their KDE game!